Mersey Morris Men - Dancing across The Wirral, Cheshire, Liverpool, Chester and Australia! Mersey Morris Men was formed in 1960 with the merger of Liverpool and Wirral Morris teams. We perform regularly on the Wirral and in neighbouring Merseyside and Cheshire, predominantly during the summer months. During the winter months, MMM practises every Monday night at the Village Hall in Thornton Hough from 8-10pm. New members are always welcome. So, if you are interested in learning to dance, playing some music or just being sociable, please get in touch. Call or email our Bagman (0151 347 1685) who can give you detailed directions. 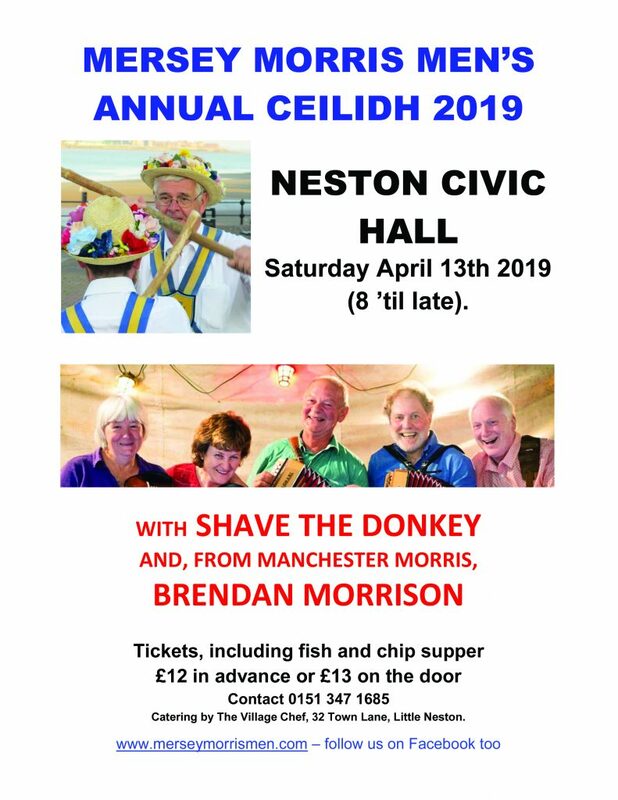 Or come along to where we are dancing and say “Hello!”. 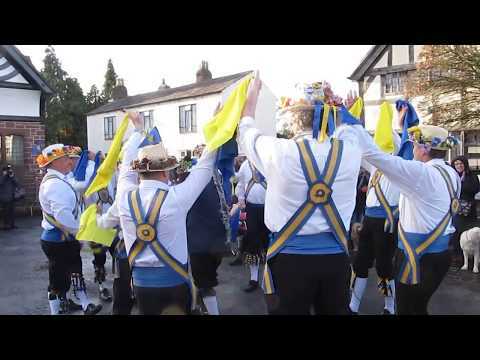 From St George Day (23rd April) through to late September, the team dances at various local hostelries on Monday nights – full details can be found on the Calendar page. If you are organising a local event and would like to book MMM to appear, contact our Bagman as soon as possible to avoid disappointment.